The Cobra CM-2213 series motors have a 3.17mm motor shaft for extra strength, as well as oversize ball bearings to support the shaft and provide a long life. The stators are made with 0.20mm laminations for maximum efficiency and minimum Eddy Current losses. 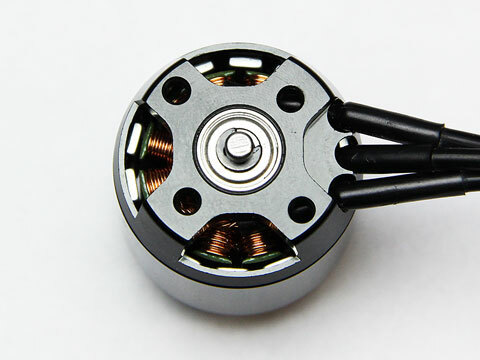 Since these motors are typically soldered directly to the speed controller for reliability, and often need to be cut to length for the specific installation, the CM-2213 motors come without bullet connectors and feature extended pre-tinned motor leads that are 17 inches (430mm) long. These motors also have 3mm threaded holes in a 16x19mm pattern on the back plate for easy installation on your model. 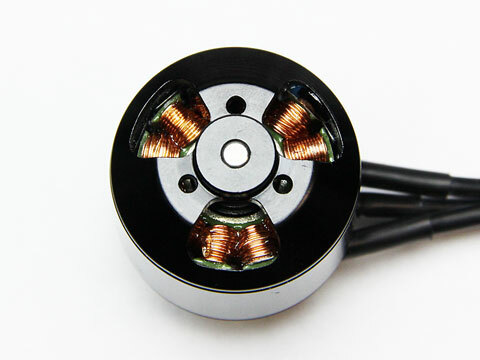 The CM-2213 series motors include a bolt-on style prop adapter has an M5x0.8mm thread for holding traditional multirotor props that have a 5mm center hole. The included prop washer and nylon insert prop nut provides a solid attachment for your propellers that will not loosen up and slip during use. NOTE: Cross Mounts are NOT included with any multirotor motors. The following downloadable PDF files show the performance data curves of the Cobra CM-2213/26 motor, over its entire throttle range, with a variety of propellers. These graphs can be downloaded and printed to use as a reference for calculating power requirements at specific thrust levels, and enable the user to calculate flight times, current draw and other motor parameters. This downloadable PDF file shows the step by step process to use for interpreting the data shown in the Motor Performance Graphs. By following this procedure, you can determine how to select a proper motor for a Multirotor aircraft, as well as calculate required power levels, determine overall prop efficiency and calculate expected flight times based on the battery size that is used. This document can be printed out and saved as a valuable reference tool to keep in your workshop for future use as well.